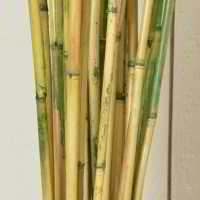 River Cane is a natural & decorative bamboo grown in water and can be used for a variety of decorative purposes. Commonly used to enhance your floral arrangements. 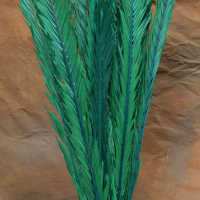 This cane is just the right size to put with flower arrangements you don't want to be too tall such as centerpieces or some wall decorations. 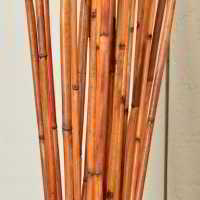 River Cane is a natural & decorative bamboo grown in water and can be used for a variety of decorative purposes. 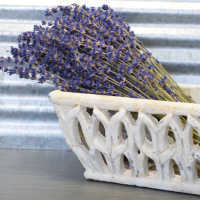 Commonly used to enhance your floral arrangements. This cane is just the right size to put with flower arrangements you don't want to be too tall such as centerpieces or some wall decorations. Try some decorative river cane today. Case Option: Buy a full case of 12 river cane bunches and Save Even More! 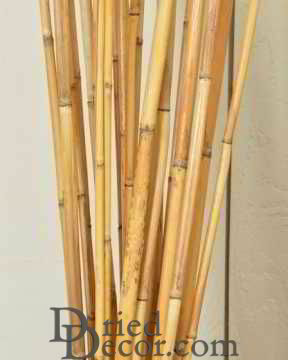 River Cane is a natural & decorative bamboo grown in water and can be used for a variety of decorative purposes. Commonly used to enhance your floral arrangements. 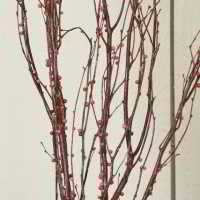 This cane is just the right size to put with flower arrangements you don't want to be too tall such as centerpieces or some wall decorations. 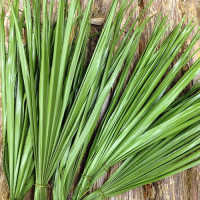 River cane is a type of reed grass that is classified also as a bamboo. 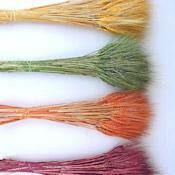 It has been used throughout history to make everything from houses to jewelry. 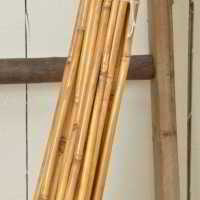 In our modern society, river cane is used in making fishing equipment, jewelry, baskets, musical instruments, furniture, mats, flower arrangements and other home decor. 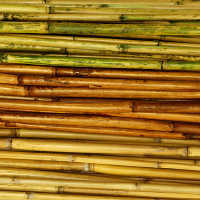 The creative crafter can find dozens of uses for river cane. 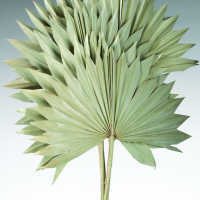 Not only is it a beautiful and unique addition to floral displays, but river cane can also be used to frame a mirror, or outline drawers of a dresser or chest to add a wonderful accent design. 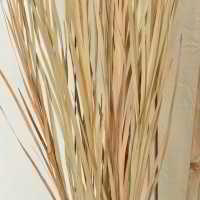 Fill a pot with River cane and pampas grass for a lovely natural display. 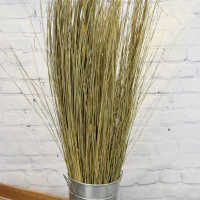 Use River cane and wild grass together in a milk bucket for a country themed display, or build a dried mixed grain bouquet with River cane accents. Whether home decorating or crafting up a storm, River Cane is a necessity!Try some decorative river cane today. Large bundle of bamboo. I didn't need more than one bundle so it would be nice to have an assorted color option. Very well packed for shipping. All arrived in excellent condition. Good value. Very happy with the products and services. 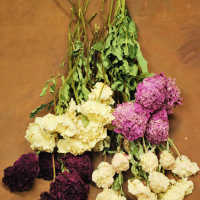 This looks good in my arrangements, and it is easy to work with. It is better to buy here than in stores, because in stores it gets damaged. This arrived in perfect condition. I am so glad that I found your website. The materials in stores are usually broken from handling. Thanks! Large and wonderful coloration! 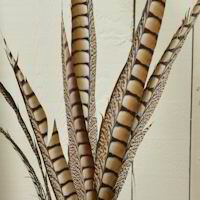 I felt confident enough that this was a strong product that it is in a bamboo container in a spa retreat guest bath. These don't just come from the outdoors like this. You have to know what you are looking for, how to process it and turn it into the artwork it is when it ships out. I was SO pleased with everything I got!! I will definitely be ordering again!! And will pass the word!! Thank you!! Exactly what I expected. Very happy with my purchase and was well packaged. Great product! Very satisfied. I am now a lifetime customer. :) Love! Love! Love! I have already referred to 2 friends! I loved it, just what I wanted and the price was good. Very fine quality and easy to work with. Exactly as expected. Nice variety of colors. 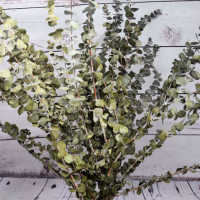 Ordered 2 bundles and received 47 branches. Liked the color and size and worked as needed in our courtyard.